True stories about this World! 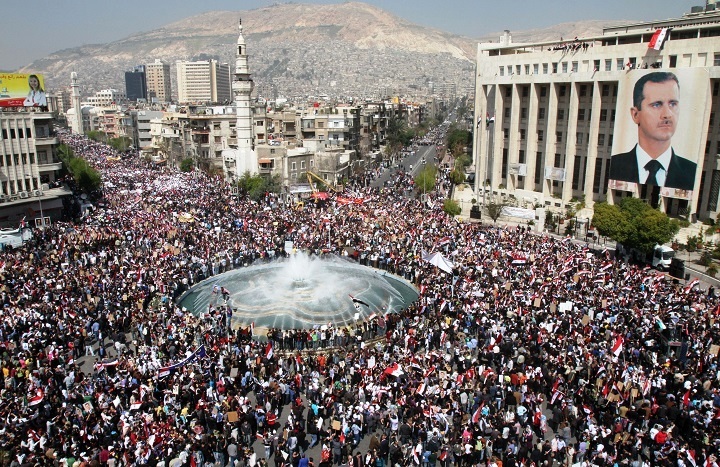 Huge demonstrations in support of Syrian President Bashar al-Assad were held across Syria two weeks after the launch of the NATO-led covert war on Syria on March 16, 2011. It is worth bearing in mind that back then the overall population of Syria was around 22,5 million in March 2011. Apart few exceptions, the al-Manar report below was totally ignored by the western mainstream and “alternative” media alike. This entry was posted in plots and wars.